Everyone has been on one of these at least one in their lifetime, either you’re the one that came up with the idea of going on a date or you were forced on the date. You can either be a serial dater and have lots of practise and experience or a first timer that has no idea on what to do. It doesn’t matter what one you this can give you some life saving tips. Here are ideas on what to do for a range of dates so that you can get the perfect date! Meet up at a coffee shop: here you can see their preferred coffee (so on dates to come you can be cute and surprise them with it). Coffee shops are a chilled and relaxed environment as well so there is no rush and no pressure for anything. Here you can have a general chat to get to know each other better and see if any sparks are there. A classic first date is take them out for dinner: No matter what your budget is you can take them out for dinner. To a classy, expensive restaurant up in London or a cheap and cosy local restaurant you might know. Either way it is the thought that counts and they should appreciate that. Here you can talk and to break up any awkwardness there might be, there is food and drink to take away any tensions. Take a cooking class together: this is a fun ice breaker and is good if you two haven’t know each other for long as it’s a laugh and can see what the other person is like under pressure and can see how well they are at cooking! This is great for an easy chat without feeling awkward. No one likes boring, serious dates where you feel like you are being interrogated and judged. You like to feel appreciated, loved and also to have a laugh with the person you like or love (depending on how long you have been together for). So here are a few ideas for a fun date! If you are feeling adventurous then perhaps have a hiking date: Great for couples that can’t stay still together, or busy and are always on the move. This gives a chance to have a break from the real world. Taking a hike gives you fresh air and quality time with your partner while you hike and see some breath-taking views if you live near hills. Take a road trip: take a simple drive to explore near where you live or go further if you want, maybe make a weekend of it. Make fun memories with your partner while you see what the world has to offer with new experiences and new food. Maybe make a picnic: a simple idea which you can do anywhere and anytime! Surprise you partner with a picnic, make their favourite foods such as sandwiches, cocktail sausages or treats they may love even add a bottle of bubbly if you want to. It doesn’t matter what your budget is, you can always have a date! Here are a couple of ideas of what to do if you don’t have a lot of money but still want to spend quality time with your loved one. Watch a romantic sunset together: take a little walk to the beach or to a pond or river near you. Get a couple blankets and wait till its time for the sunset or even the sunrise. This is a beautiful view for you both to watch, while you are waiting it gives you time to talk about how you both are feeling and how your week was. Stay in and watch movies: Perfect for when it is raining, snowing or just cold outside, this is the time to snuggle down together while watching new movies you both wanted to see. Doesn’t mean you have to talk non-stop while your partner is trying to watch it but is time to just to cuddle and spend some private time together without anyone around. Cook or bake: A fun idea for when you both don’t know what to do and to also work on your teamworking skills, look in your cupboards or run to the local corner shop to get the ingredients you need. Either cook a nice, relaxing dinner for you both to enjoy in the evening or make a cake or brownies if you’re in the mood for something sweet. Double dates… you either hate or love them. Girls usually come up with the idea to go on a double date with their friends, so their boyfriends can meet, or you get dragged along to one because you are the only single one out of your mates and they need someone else. Go to brunch: gives both “couples” the opportunity to talk to each other and get to know each other more. If it turns out awkward you always have your mates to rely on, to keep the conversation going. There is also food and drinks available for ice breakers. Go and see a play or film: Go to a theatre to see a play or cinema to see a new movie out. This means you don’t have to talk all the time just before and after the film and if there is no chemistry there you can just sit there and watch the play when it starts. Visit a museum or gallery: if you prefer not sitting still all the time and would rather explore well this is the place for you. While visiting a museum or gallery it also gives you both something to talk about if you find something interesting. In all seriousness, the snow is at Red, Amber and Yellow alerts for most of the country. Whoever said March was the month of spring has lied to us, and we are not happy. Whilst the first day of snow is amusing, the novelty has worn off and is wearing thin (like our patience). So, there won’t be many Days Out in the UK this weekend we feel – as it’s advisable to remain inside in the adverse weather conditions. So, instead of telling you about all the wonderful attractions (that are most likely closed), we’re going to talk to you about ways to keep yourself amused this weekend! Yes, if you’re stuck inside, entrapped by the snow, then you’re going to be pretty bored of daytime telly. However, we’ve got some fun alternatives you can try if you don’t fancy watching multiple episodes of Jeremy Kyle and Come Dine With Me… Here’s our list of things you can do this weekend instead of venturing into the cold. Yes, board games can make or break a family weekend. Monopoly is out the window (quite literally thrown out the window in some homes). So, maybe it’s time to dust off the playing cards and teach the family poker? Or, there’s always good old UNO. Any game would be fun, but if you want to cause a rift in the household, we’d recommend monopoly. One thing that some couples and families may find themselves doing is giving the house a fresh coat of paint, on the inside. Since you’ll be trapped inside, there’s really not much excuse – unless you find yourself without paint, paint brushes, wall paper or the energy to bother. Hey, don’t look at us, we’re only suggesting things to do. Are you sick of the items dating back to the early 80s in your wardrobe? Well, whilst you’re snowed in, it may be the perfect time to have a big clear out in your wardrobe! Not only will you free some space up, but you can take your clothes that you don’t want anymore to homeless shelters and charity shops around the country, to keep those at risk warm through the cold weather. Remember, every donation helps so if you’ve got some clothes you don’t wear anymore, donate! And if all of that doesn’t tickle your fancy, venture into the wild and chuck some snowballs at each other. Alleviate that boredom by engaging in some semi-non-violent fun. As long as no one takes a snowball to the face, or a block of ice to the head, you should be fine. Remember to wrap up warm! The MET Office has advised to stay in doors / don’t travel if you can avoid it in this weather. So, have a nice weekend in. Maybe read all of our old Blogs or scroll through our Events page to kill some time? Why not. And hopefully, better weather will spring upon us soon… Until then! Stay warm, stay safe and maybe don’t venture for a Day Out this weekend. If you felt bad dumping someone just before Valentine’s Day, well we’ve got some good news. February is coming to a close, so you can now begin to think about ways to break it off with unloved ones. We’ve done a survey around the office of great places to take people before you dump them. A fun day out + no public drama = a semi-happy breakup. There are some lovely country parks all across the UK, with some of the best views and wide-open spaces – perfect for making your escape. See, not everyone reacts well to ending a relationship. So, when it gets ugly, get out. You can sprint to your hearts content across the beautiful landscape, hopefully making it back to the car before they do… Just don’t run on the grass or flowerbeds. The key is to be respecting of the dumpee, the grounds and the environment. Beautiful scenery + Room to escape = a semi-happy breakup (maybe, we promise nothing). Paintballing is the past time of stag parties and company team builds, mainly because it’s a great way to vent any frustration in a ‘non-violent way’. However, we’d recommend layering up for this one, because it could get ugly. Yes, paint balls hurt, so if you’re anticipating a bad break, beware. However, it can be very therapeutic and beneficial for you both, airing your frustrations via shooting paint. In all honesty, it’s a great day out – even if you end it on a sour note. Painful Paint – Relationship Frustration = a semi-happy breakup (we’re only assuming at this point, we don’t know what’s going on…). And that’s our list, if you liked it, feel free to share it with your friends / those on the verge of a breakup. And once again if you’ve got this far and don’t like a good joke – hit the back button. We’ll be back next week with some more great days out in the UK. Yes, if there’s one thing we love just as much as Days Out in the UK, it’s chocolate. So, if you’re reading this, we’re going to combine two of your favourite things – Days Out and chocolate (because everybody loves chocolate). We’ll even chuck in a few chocolatey facts for you to wow your friends with. Now for the religious chocolate lovers out there, there’s a few places you can worship. But, the Vatican of the chocolate world, is right here, in the UK. It’s only Cadbury World in Birmingham! Religious metaphors aside, Cadbury World is a must visit for chocolate lovers from near and far. You can tour the factory in true Willy Wonka style, and see the masterful process of how all Cadbury’s chocolate is made. Including the creation of white chocolate… which is a nice Segway into our first fact. White Chocolate contains no cocoa at all. (hold for gasps) Yes, white chocolate is the product of fat and sugar… yum. White-sugar-fat bar doesn’t have quite the same ring to it though, does it? For the chocolate connoisseurs amongst you, white and milk chocolate are merely low tier chocolate, not even present on your radar. You’ve been to a chocolate specialist in Switzerland, you’ve seen a professional chocolatier craft a seven-foot phoenix out of dark chocolate and a small funnel, forged with blood, sweat and tears, in a snowy blizzard… okay, we may be over exaggerating here, but some prefer dark to milk and white, for its high cocoa count. And where I hear you ask can you get some top quality, high percentage, artisan dark chocolate in the UK? No, not Waitrose – farmer’s markets. Some of the finest farmer’s markets across the UK, will almost definitely, have at least one stall selling beautiful, homemade chocolate/fudge/chocolatey treat. Markets like Holker Hall & Gardens in Cumbria and Swithens Farm in Leeds, stock some of the finest homemade treats to get your teeth into. From fancy fudge to high cocoa content chocolate, farmer’s markets are a fun and foody day out for everyone. If you’ve ever wondered about the history of chocolate, we’ve got just the place for you. York’s Chocolate Story, located in York surprisingly, allows you to unwrap the secrets of chocolate. This fully interactive experience immerses you in the world of chocolate and allows you the fully explore the history of your favourite treats and learn the secrets of chocolatiers. York is the epicentre of the UK’s chocolate industry, and has been the home of chocolate in England for the past 300 years. With lots of sweet exhibitions, there’s so much to learn and taste at York’s Chocolate Story. This next fact we consider more of a public service announcement than anything, it’s imperative for anyone partaking in chocolate week to read very carefully what comes next… A lethal dose of chocolate for a human is just under 10kg, yes chocolate can be lethal. So, in theory, you could eat around 50 bars of Dairy Milk Chocolate bars that weigh 200g – everything in moderation, right? Whether you’re a Cadbury lover, cocoa historian or a chocolate connoisseur – it doesn’t have to be chocolate week to visit some sweet attractions. It’s hard to believe how fast the year is going! It seems like barely a week ago I was shaking off the memories of New Year’s fireworks and writing my huge list of resolutions that I was totally, definitely going to get done this year, regardless of my previous year’s track record. Yet here we are: Spring has sprung, blossom coats the trees and the next major break for the kids is coming up fast, the Easter Holidays. Cue the panic!!! We at Days Out UK pride ourselves on bringing you the best events to do alone or with your family, and around Easter-time there are a plethora of activities to experience throughout the UK, so I couldn’t possibly list them all, but I can try to give you a few suggestions and also point you in the direction of our EVENTS page for all the fun happening over the coming weeks. So Easter… the season of chocolate, rebirth, chocolate, baby animals, relaxing, family and of course… chocolate. There is a lot to cover so let’s get started (Read to the end for some fun facts about Easter and let's see how many terrible egg puns I can fit in). Let’s begin with the most classic of Easter past-times, (besides feeling violently ill after overdosing on chocolate), the classic Egg hunt! There are ones popping up all over the country soon, bringing some sugary magic to some already amazing sites. 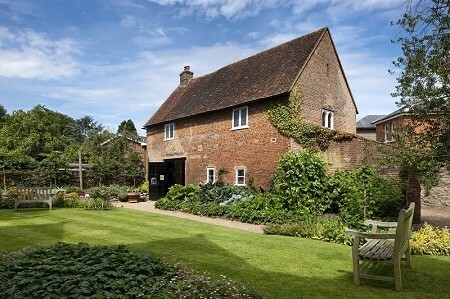 Between the 14th-17th April, the National Trust has partnered up with the titan of sweetness: Cadbury, and is putting on their ever-popular Chocolate Egg Hunt at a number of properties throughout the UK. From Knole, to Quebec House, to Sissinghurst, you and your family can track clues around some beautiful historic properties and claim a delicious Cadbury Treat! 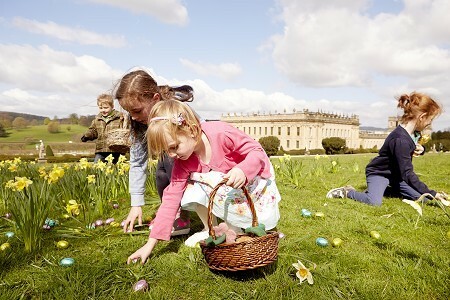 Make sure to check out https://easter.cadbury.co.uk/find-an-egg-hunt to find the nearest egg hunt to you. For something a little different and magical, why not try a special glow in the dark Easter Egg hunt at the Cheddar Caves? 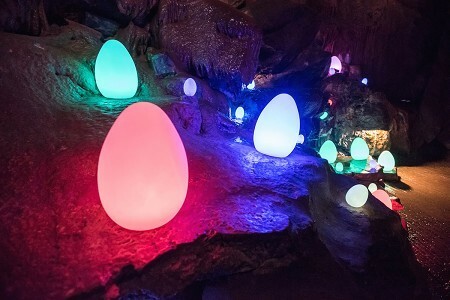 Running from the 1st-23rd of April, take a trek through the beautiful caverns and see if you can find all the luminescent eggs that have been carefully hidden throughout the world famous Gough's Cave. There's a chocolately treat that await all who hand in a completed challenge form. For those looking for a real task, or for egg-stra fun, then take on the 'Hard Boiled' challenge, taking note of ALL the different colours and locations to really prove that you've got the challenge cracked! For a number of other egg-citing hunts and trails, make sure to check out Kensington Palace and Hampton Court Palace for their own activities as well as the Hever Castle Bunny Hunt and the Easter Eggstravaganza at Chatsworth House, all running throughout April just to name a few! Easter is the time to celebrate rebirth, so why not take advantage of some great Easter Holiday offers to visit all the fluffy, scaly, or feathered friends you could imagine? Knowsley Safari Park has a great offer on from 1st-23rd April, offering 20% off all online bookings so you can enjoy the vast expanse of the safari park and all the amazing animals within for an even better rate! Home to free romaing lions, giraffes, tigers, zebras, monkeys: why not take a trip this Easter and take advantage of this great offer! At the same time, the ZSL London Zoo is launching it's Dear Zoo trail based on the popular children's book of the same name! Kids can explore the zoo following the beloved story's characters and take part in a number of themed activities, collecting stamps and listening to the tale at the Storytelling hub! Definitely an event not to be missed!! 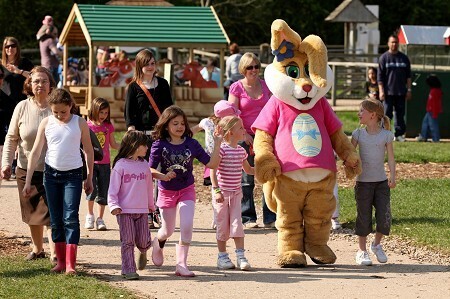 April sees the launch of Willows Activity Farm's Easter Event giving the whole family the oppurtunity to get up close and personal with a number of adorable farm animals as well as some amazing themed activites like the ever popualar Pig Racing! So make sure you hop to it and don't miss out! Why not try some historic-themed Easter fun? While many people hear the word "history" and want to go straight to sleep, fear not, as the Canterbury Tales in Kent is running it’s own fun Easter Event from the 3rd-14th April and it promises to be an fantastic time! 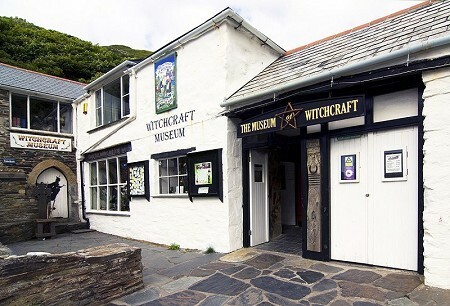 Be transported back to the days of Chuacer and enjoy a plethora of activities including: Maypole Dancing, a Knight’s School, finding out all about medieval medicine and (of course) classic storytelling. The perfect way to enjoy the sunshine and partake in some of the weird and wonderful fun of yesteryear. For more storytelling action, why not visit the Horniman Museum and Gardens for their Alice in Wonderland themed Easter fair over the Easter Weekend? Hop along themed trails, get creative with crafting workshops or really throw yourself down the rabbit hole with all a special Alice in Wonderland storytelling performance suitable for the whole family! For those looking for a more EGG-STREME activity, then make sure to take advantage of Aerial Extreme's special Easter offers. Defy gravity at these death-defying High Ropes Courses located throughout the country as you jump, climb and zip past obstacles. Best of all, during the Easter period, there's 25% off sessions at all locations when you book online. Plus, on the 14th April, you have the chance to take on their special Easter event. All you have to do is take on the perils of the course whilst carrying a raw egg around! Simple right? For those who try it , there's plenty of chocolate up for grabs so why not see if you have what it takes? It's the perfect oppurtunity to experience a bunbelievable adventure! If you're looking for something that's more nautical, then there are TONNES of events during the Easter holidays over at the National Maritime Museum of London and the Cutty Sark that'll make you egg-static!! From meeting famous characters from history, to sessions aimed specifically for your youngest ones, to discovering the museums through arts, music and dance as well as a number of sessions talking about culture and fun from all over the world, there is certianly not a lack of things to do either location! Clcik HERE and HERE for a full list of what's going on! So whatever you feel like doing around this time, whether it's something highflying, crafty, or if you just want to stuff yourself silly with chocolate eggs for days, just make sure you're doing something you enjoy while we all pray for good weather. 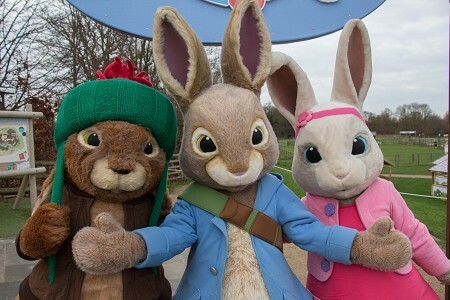 And from all of us at Days Out UK, have a very Happy Easter!!! So how about some fun facts about the most chocolatey of holidays? The world's tallest Easter Egg was 10 meters and weighed over 7,000 kg!! That’s the equivalent of over 70,000 regular chocolate eggs! Thank you, Italy! The amount of money spent on chocolate during the Easter period makes up 10 per cent of UK chocolate spending for the entire year! When do you think the first Easter Egg was made? Take second to have a guess.... It was first made in 1873 by Fry’s of Bristol and dentists everywhere I’m sure are forever thankful. Ah Mother’s Day. Undoubtedly mums are some of the hardest working people around, doing so much without respite or holiday to the point where having merely one day per year dedicated to their efforts seems a little frugal of the calendar! With this day now rapidly approaching, (after we’ve gorged ourselves on pancakes but before we gorge ourselves more on chocolate eggs), I have compiled a few suggestions of things you and your mum (or other special lady in your life) might like to try on this day. I’ve tried my best to come up with a few ways to personalise this day which, like so many other holidays has become awash with commercialism so that the individuality of the day can be lost. Mothers are all individuals, so while I’m going to do my best to give you some awesome suggestions on what to do on this special day, ultimately, it’s what you think she'll enjoy the most. From gardens, to cakes, to castles and more, there is not a lack of Mother’s day events being held throughout the UK and make sure to check out our Events Page for a full list of goings on! Lavender (Devotion). Besides looking really pretty and having been used to scent everything from soap to dog shampoo, the smell is also great for relaxation and I know that mothers can be more than a tad stressed at points. Lily of the Valley (Returning Happiness) A more specific meaning, but a really lovely sentiment if you’d like to express the reciprocation of all the happiness your mam has given you over the years. Dark Pink Rose (Gratitude). Different coloured roses have a variety of different meanings but I think those of a dark pink colour have the most appropriate meaning for this day. Violets (Love, Faithfulness) Yet another flower with the meaning of love, but I think in a bouquet for your mum, you can’t have too many! Pomegranate Flower (Mature elegance) … If you want to have a laugh or get slapped, I think it depends on your mum’s sense of humour. Since this is a Days Out website, of course I’m going to mention some places to visit on this day as well. 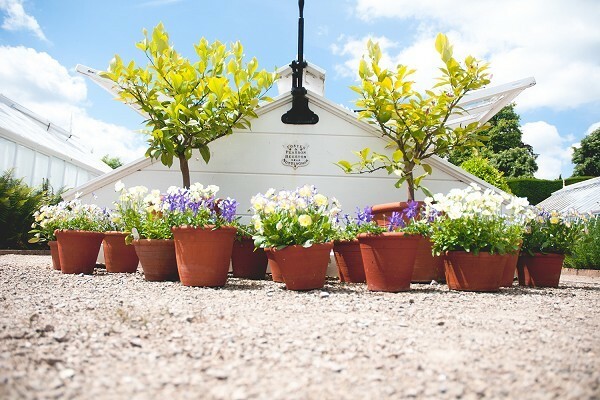 If a bouquet isn’t enough, how about acres of flowers by taking a trip to one of the UK’s many beautiful gardens, plenty of which are offering special events on Mother’s Day itself. From the restored West Dean Gardens in Chichester, well known for their stunning features and large variety of flora, to the acres of greenery and plant life surrounding Highclere Castle in Berkshire, or the greenery and waters Ripley Castle and Gardens and so many more! (All previous mentions have Mother’s Day events). While perhaps a clichéd suggestion, it’s a cliché for reason, because they are some of the most beautiful and thought-provoking places in the country. What says love more than food? Well, probably a lot of things, but you can’t really go wrong with something tasty. For something that is a necessity, how food is prepared can really impact it’s meaning. From a nice breakfast, to a heart-warming dinner, to delicious (or even burnt) bakes, there are a number of ways to express feelings of love and gratitude to your mum through food on the Sunday. However, if you just plain can’t cook or want to treat her to something extra special then a number of attractions throughout the UK are offering a selection of lunches and afternoon teas perfect for treating your mum to something as sweet as she is (Feel free to use that genius line on actual Mother’s Day). 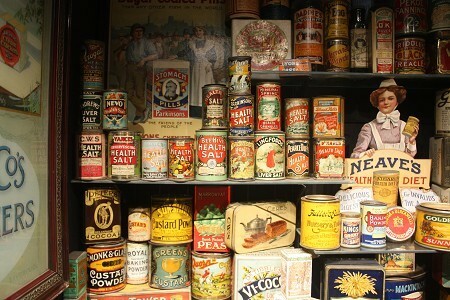 For the rustic touch, Mum’s can go free to the National Museum of Rural Life on Mothering Sunday. This venue is so much more than a museum with it also being a working farm and farmhouse with animals and attractions to enthrall all. March is the perfect time for a visit to this attraction with a tonne of new and cuddly baby animals to see and winter finally melting away to reveal the blooming of beautiful plants throughout the farm. This venue is also a perfect Mother’s Day out for you and your littlest ones with plenty of child-friendly activities and exhibits to explore. 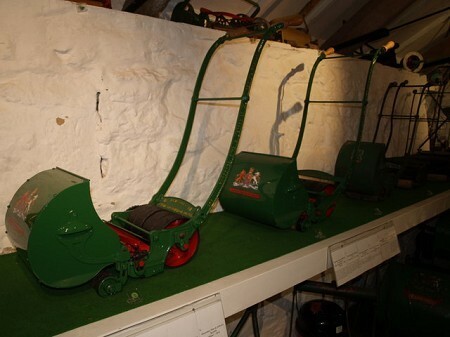 Why not try a fun day of crafting and hands on activities at the Amberley Museum in Arundel? Set in 36 acres of the South Downs National Park, there isn't a lack of hieritage to disocver and on Mother's Day itself, there is a plethora of different things to try. From steam train trips, to pottery and craft activities, as well as birds of prey displays, there's something here for you, your ma and whoever else you bring with you to enjoy! 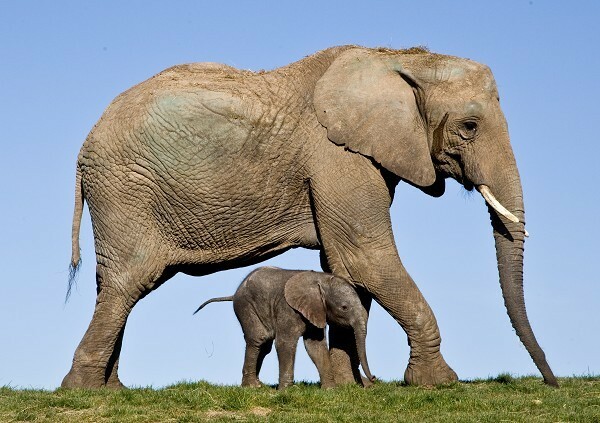 If you or your mam likes animals, why not try the Wild Mother’s Day weekend at Howletts Wild Animal Park in Kent? As per usual it has over 100 acres of amazing wild friends to discover: From gorillas, to rhinos, elephants and more as well as free animal talks to learn all about them, but in honour of Mother’s Day, there are also free crafts to try. With wooded walkways, the tree top challenge and the chance to really be part of conservation to protect the animals found here, it's the perfect stop for any wildlife loving mother and family. So all in all, I do hope this post has been able to give you some inspiration for you and your ma/ other special woman in your life, for something to do for Mother's Day, but whatever you end up doing, no matter how big or small, doing anything to show you care can really leave a lasting impression throughout the year. But anyway... who want to hear some Mother's Day facts?? 2. While our current Mothering Sunday celebrations are a fairly modern incarnation, celebrations of motherhood have existed throughout history. For example: the Romans and Greeks held celebratory festivals of their mother goddesses, Cybele and Rhea. 3. In the U.K., our Mother’s Day is the Christian celebration of Mothering Sunday, though originally it wasn’t a celebration of mothering, rather a day when one must return to their “Mother Church” on the fourth Sunday of Lent for a celebratory service. While keeping the same date, it ended up becoming a much more secular celebration where children would give their mothers gifts before this custom merged with the values of American Mother’s Day founded in the early twentieth century. With January drawing swiftly to a close, the season of love is now fast approaching. The supermarket shelves once again are piled high with novelty chocolates and stuffed animals marking to countdown to Valentine's Day. Many can feel rather a lot of pressure to make this day special for their significant other and we at DOUK feel it as out duty to inform you of some of the most romantic goings on in the country that you and your partner can enjoy. However, I’m also aware there are a great many of you who either don’t like this particular day or perhaps would prefer to do something a little different as this time of year can leave some with more of a bitter taste in their mouths. I therefore present to you, Valentine’s spots for those struck by Cupid’s arrow as well as events and inspirations for the anti-valentine’s crowd or for those looking to do something a little different this time, as regardless of your relationship status, everyone deserves for this day to be fun. What screams love more than prison? Wait wait, let me explain. 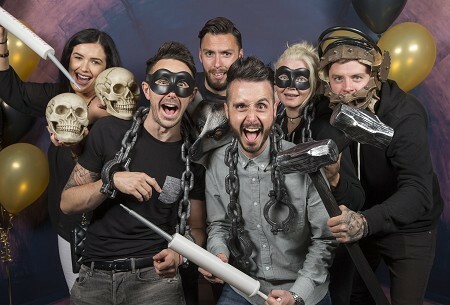 Not only is Oxford Castle a site steeped in a rich history, but Oxford Castle Unlocked is offering people the chance to have a very different experience with the ol’ ball and chain. One really wouldn’t expect this almost thousand-year-old ruined castle turned prison complete with crypts and cells and a general aura of mystery and death to offer anything romantic, but you’d be surprised. On Valentine’s day, couples can enjoy a romantic, candle-lit three course meal served in a the unique and intimate location of… an actual prison cell. Don’t get put off by the location! You can enjoy a delicious dinner in this fun and unique setting and certinaly isn't your average Valentine’s day dinner for sure, plus it makes the perfect setting for any history-lover in your life! You know what’s also romantic? Trains! (I promise I’m being serious). Sometimes when travelling, the journey can be just as important as the destination, and the UK is certainly not lacking in scenic views, so why not take a Romantic ride somewhere? There are heritage railways dotted all over the country that offer scenic views, relaxing trips as well as special dining/drink packages. 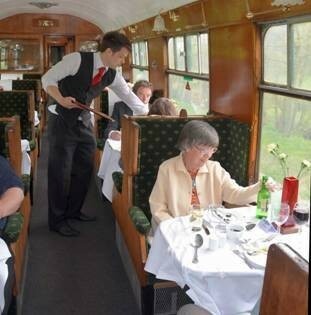 Why not book dinner, brunch or afternoon tea on the Avon Valley Railway or enjoy the variety of trips offered by Dartmouth Steam Railway? Click HERE for a more comprehensive list of rail tours throughout the UK and to find ones near you. 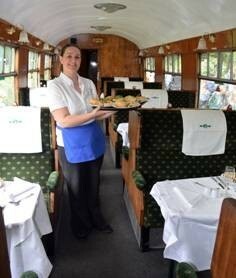 For something specifically Valentine’s themed, for those around the Kent area, the Spa Valley Railway has a Valentine’s special on the 12th of February where you can appreciate the relaxing beauty of traveling on this amazing heritage railway as well as enjoying a complimentary bottle of wine! For classic romance, how about a romantic evening under the stars? Even better, how about a romantic evening under the stars where you don’t have to go outside into the freezing cold and, more likely than not, rain? 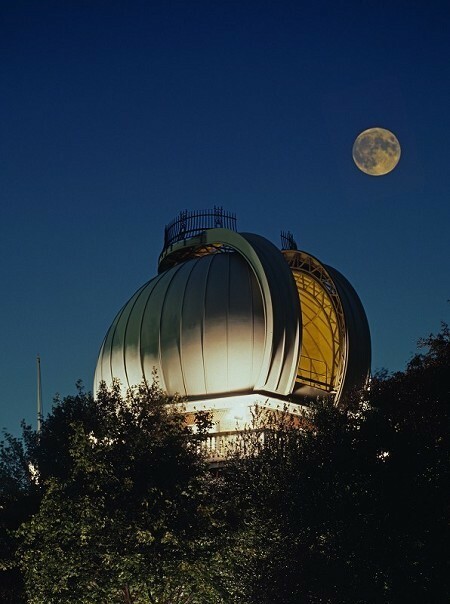 London’s famous Royal Observatory is offering exactly that on Valentine’s night itself. Discover all about the romantic sights seen in our night sky in a visually stunning planetarium show and do your own stargazing through a real 18-tonne Victorian telescope. You can also enjoy a complimentary glass of bubbly whilst standing on the famous Greenwich Prime Meridian whilst enjoying the twinkling lights of our own night sky (If we are granted clear weather.) The Glasgow Science Centre is also getting in on the Valentine’s spirit with a Valentine’s screening of “Her” starring Joaquin Phoenix and Scarlett Johansson. As well as a complimentary glass of fizz and treats to enjoy during the film, the event will also begin with a stunning planetarium show exploring the surrounding cosmos. Glasgow Science Centre Her Screening: £40 per pair of tickets (18+). Walks are about as much of a romantic cliché as you can get but, they’re a cliché for a reason and are a tried and true romantic activity if you can get past the blisters. 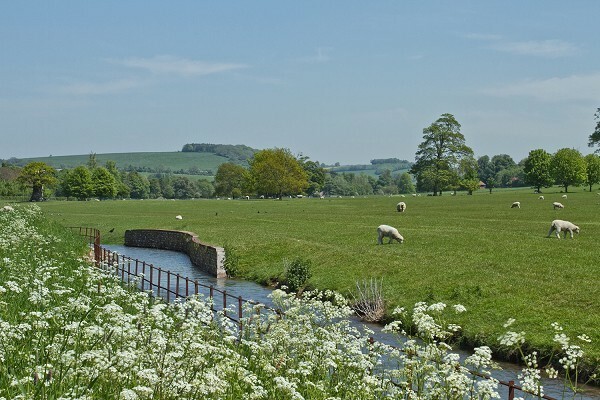 For the rambler in your life, there are many beautiful locations dotted around the country perfect for Valentine’s Day strolls. I could go on for hours about the many MANY places in the country perfect for walking, but this blog post would be about 10,000 words long so instead I've made a few suggestions of some of my personal picks. For Castle lovers, Hever Castle and Gardens has its wonderful snowdrop walk around it's grounds offering a great perspective as these beautiful flowers emerge from their winter hibernation. 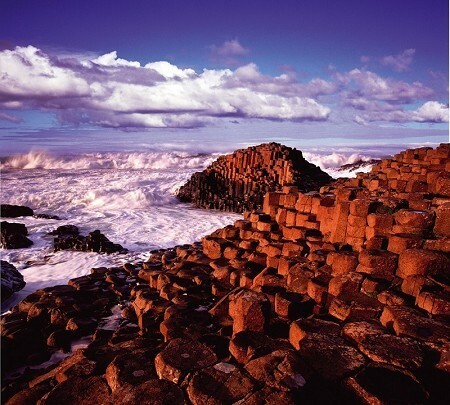 To see some stunning views of the coast, try one of the trails near the Giant’s Causeway if you can. Often considered the 8th wonder of the world, views across this amazing rock formation are enough to take anyone’s breath away. Made up of over 40,000 basalt steps, this natural rock formation has a number of natural features dotted along its length including the Giant’s Boot, the Wishing Chair and the Camel. 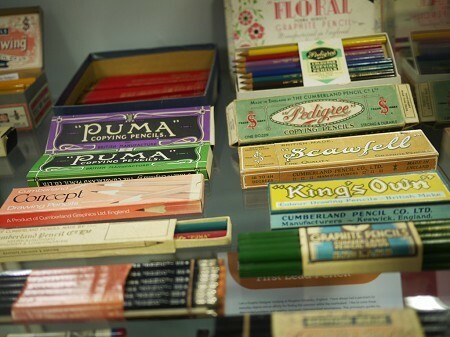 Visit to find out the story behind these eclectic names. If you’d prefer a walk that isn’t so down to earth, then the Tree Top walkway at Kew Gardens is the walk for you. Set 18 metres above the ground and surrounded by a grand canopy of chestnut, oak and lime trees, this walkway offers great close-up views of the birds and insects that make those trees their home as well as an unparalleled view of the surrounding skyline. Make sure to check out the rest of Kew whilst there for some of the most amazing and well-kept gardens in the country. Plus Valentine’s night itself coincides with one of the Orchid Late events, offering an intimate evening celebrating the bright and exotic culture of India. Click HERE for more information. Now for those of you not really into the season, cripplingly lonely or just looking for a completely off the wall date idea, then why not check out a few of these rather different activities that I’ve compiled. Calling all sketch artists! For a special anti-Valentine’s event, the Tower of London will be hosting a sketch-special covering all those who died in the name of love in the Tower. For all those that aren’t the biggest fans of the romance at this time of year, why not hear the tales of someone who met a grizzly end because of it a.k.a: Anne Boleyn. Enjoy the opportunity to sketch lovingly costumed models posing as ghosts at the site of her burial in the Chapel of St Peter ad Vincula after her execution. Capture the gruesome consequences that sometimes follow love. This is an event the proves that Romance truly is dead. If this is a time of year you'd like to escape, the why not try breaking out of the norm by visiting one of many MANY escape rooms across the UK. For those unfamiliar with the setup, the basic premise is that you ar locked in a room and usually have one hour to solve the room's puzzle to find your back back out whilst more often than not solving a grizzly mystery at the same time. Definitely not your usual Valentine's activity to be sure as well as being a thought-provoking and fun activity to try. If you haven’t experienced an escape room before, I highly recommend it as it is the perfect activity for friends, couples and co-workers alike. See HERE for a full list across the UK. 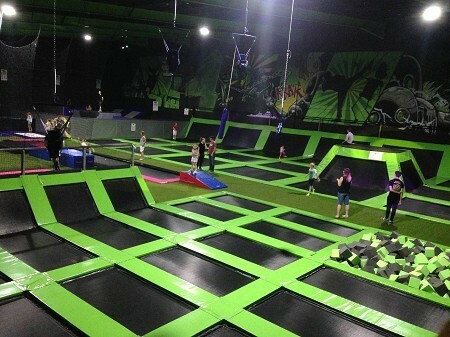 For a more unique date idea or if you just want to bounce away your crippling loneliness doing something fun and silly then you should definitely try out one of the country’s trampoline parks. I bet some of you haven't touched a trampoline since you were kids, but as one of the biggest up and coming event industries in the country, these parks offer a number ways to burn off energy and proving that trampolining certainly isn’t just for the younger generation. Whether you're taking full advantage of being surrounded by wall to wall trampolines or enjoying the Slam dunk courts and airbags offered by many, these parks have so much fun to offer if you decide to jump in! What’s the opposite of romance? How about Horror! Chase away any notion of romance by taking a look at any of a number of haunted spots across the country. For the best experience, there are a number of fun tours run at night that highlight these terrifying spots and give you all the grusome details of the terrifying events that occured in these places. From the well loved Ghost walks of York, to the dark secrets of Lincoln, to the Witchery tours of Edinburgh, whichever spooktacular tour you choose to embark on, they each ofer a horrifyingly good time and are a far cry for traditional Valentine's Day events. Halloween might be the season for spooks but with these tours, plenty of creepy fun can be had all year round. 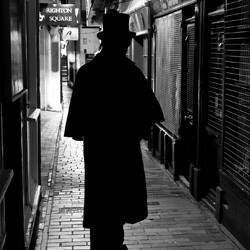 Click HERE for a full list of ghost tours available. Ultimately whether you love, hate or are just indifferent to Valentine’s day in general, there are a tonne of fun things you can do around this time of year regardless. While some people find enormous pressure in making this day special, ultimately (and this really might sound cliché but it is true) it is the thought that counts and sometimes the simplest and even strangest gestures can mean the most. So whatever you end up doing on the 14th of Feb, we at DOUK.com want to wish you a very very happy Valentine's Day! Let’s finish off this post with some fun facts about Valentine’s day! St. Valentine, whilst being the saint of Romantic love, is also the patron saint of beekeeping, epilepsy, plague and against fainting. (How Romantic.) What’s more interesting is the story behind Saint Valentine himself. Not much is known about him specifically as there have been multiple Saint Valentine’s recorded, but the most pervading story is that he was a Priest in Rome during the 3rd century AD who was killed for marrying Christian couples who were being persecuted at Rome at the time. Valentine’s day is the second most popular time of year for sending cards, with it estimated that on average about one-billion cards being given! Not only that, but over one-billion dollars’ worth of chocolate is consumed on Valentine’s Day in the U.S.A alone! And they say money can’t buy love. It was widely accepted by doctors in the nineteenth century that eating chocolate would help people pining for lost love… something which isn’t exactly uncommon today either. Every Valentine’s Day, the city of Verona receives over one-thousand letter addressed to Juliet from Shakespeare’s Romeo and Juliet. The number of love heart sweets produced around the Valentine Season is so great that when put together they could stretch from Valentine, Arizona to Rome, Italy and back again. That is a distance of over 10,000 miles!! It's that time of year again! The scent of mulled wine and mince pies are in the air, the radio stations are playing the same 10 songs over and over again, and everyone has their tissues ready for the festive supermarket adverts. Yes, Christmas is coming up fast, and with so much to do before the big day, make sure to take some time to have some festive fun beforehand. 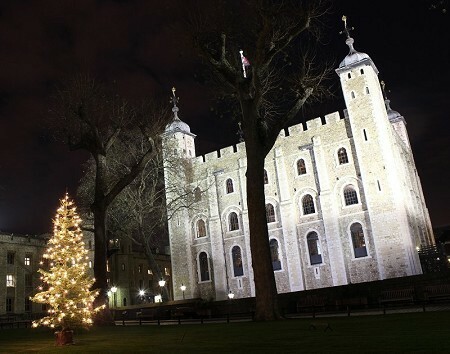 There are a number of fun Christmassy events and attractions you can visit all over the UK this festive season. With so much fun going on throughout the country, I could not possibly list them all, so make sure to check our Events page to keep up to date with all the goings-on throughout the UK. While snow can sometimes be a fleeting dream in some parts of the UK, that doesn’t mean you can’t enjoy some icy fun with several ice skating rinks popping up for the Winter Season, especially around the Greater London area. Take a skate around the rink currently standing at The Tower of London or glide around another that's popped up at Hampton Court Palace for plenty of freezing fun and none of the frostbite! Since ‘tis the season for fun but also stuffing ourselves silly, there are a variety of amazing festive food experiences to try all over the UK. 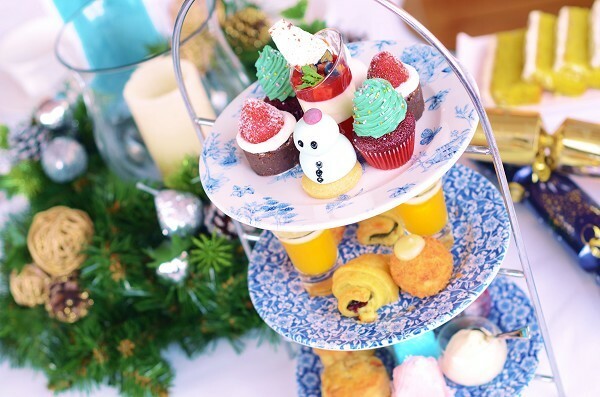 From festive afternoon teas available at Titanic Belfast and the Tropical Butterfly House Sheffield, to food markets appearing all over the place including: The Welbeck Estate and Chatsworth House! Also, if the stress of cooking Christmas dinner is too much this year, fear not, as there are several attractions offering their own amazing Christmas dinner experiences. Enjoy a full Christmas Dinner aboard the Wealdon Pullman steam engine with the Kent and East Sussex Railway on a scenic journey, or try one of the many festive dining experiences available at the Spa Valley Railway. With December approaching fast, Santa is certainly keeping busy as he will be dropping into several attractions throughout the country to say hi and spread all the festive magic he can. 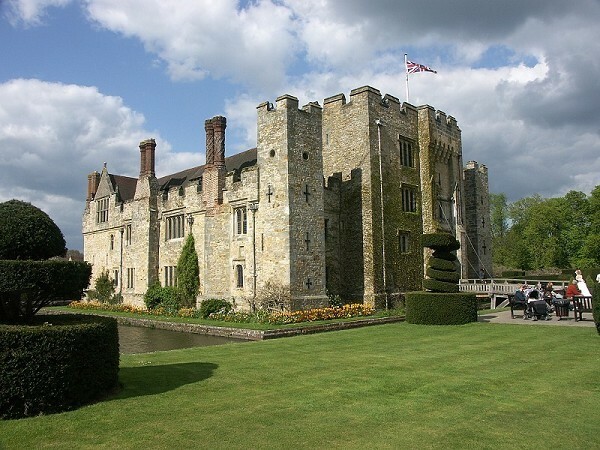 - Hever Castle ... just to name a few! Make sure not to miss the big man when he's around in your area. 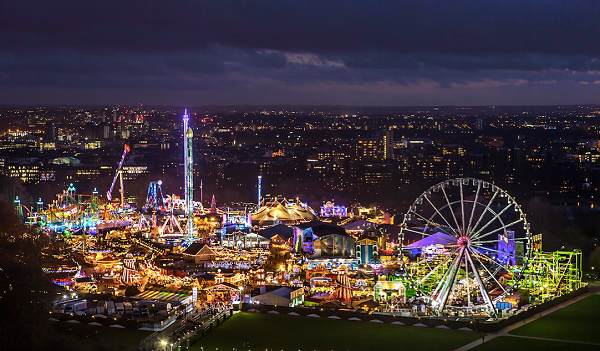 One could not talk about Christmas attractions in the UK without mentioning arguably one of the most anticipated Festive events of the year, Hyde Park's annual Winter Wonderland. Celebrating it's 10th anniversary, there is no shortage of Chritmas cheer here! With FREE entry onsite, there are many amazing things to see and do, from seeing the sights aboard the giant observation wheel, to grabbing a drink in a bar made of ice, to experiencing the four rollercoasters and other thrill rides and so SO much more, there's a reason this event is one of the most popular Christmas attractions in the country. There are only 2 weeks left of the Summer Holidays and here at Days Out UK we want to make sure you don't waste a single second of your time. In order for you to make the most of the final weeks, we have put together a simple guide, giving you some helpful hints and tips for planning ahead. Instead of travelling miles away to find fun things to do this Summer Holiday, why not check out your local area for great days out!? 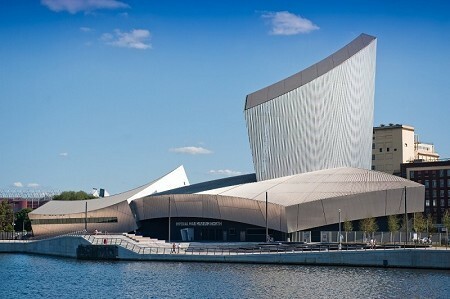 Whether you are from London, Essex, Greater Manchester or Merseyside, there are heaps of things to see and do, so find out what’s on your doorstep - instead of venturing far and wide. The time and money you can save by not travelling far away, can be spent on having fun, with all your family and friends. Try planning your route in advance, being sure to check for updates on traffic etc. before setting off. Whether you are travelling by car, bus or train, by planning ahead you will be able to: learn the quickest routes; save money - by avoiding toll booths, splitting travel costs etc. - and; plan how to get from attraction to attraction – if you are going on a multi-stop trip. If you do have to venture outside of your local area and plan well enough, you may be able to fit more than one attraction into one day out. For example, if you are looking for a day out in Liverpool, you could start off by visiting the animals at Knowsley Safari Park, followed by a visit to the Albert Dock. 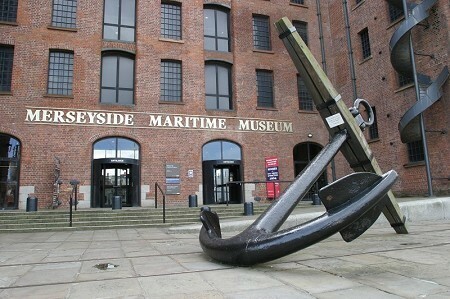 Here you can make the most of all the award-winning attractions, from The Beatles Story to the Merseyside Maritime Museum. By planning a multi-stop trip you not only will save time on travelling, but you can also save money - with lots of attractions offering combined rates. 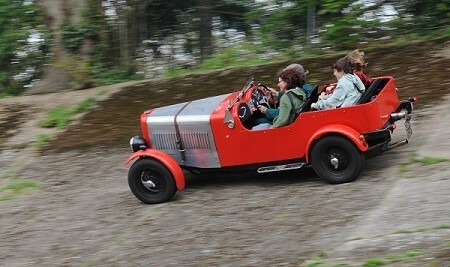 When planning a day out, especially when you have little ones to contend with, there is so much that can go wrong. By booking beforehand you can save time by avoiding queues, you can plan other activities around them and you will be able to stick with your planned budget (see Multi-stop trip and plan your budget). 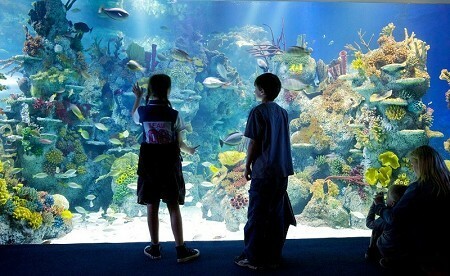 From free family events to paid excursions, there are heaps of things to see and do nationwide, this Summer Holiday. 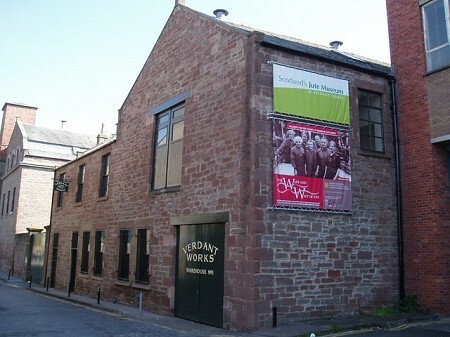 Be sure to check out our events and attractions pages, for some great days out ideas! Before setting off on any trip, it is good to know what the weather is going to be like. This way you will be able to know what preparation is necessary, for example, what clothes to pack for the family. Visit our area pages, for an up-to-date weather forecast. It’s always a good idea to plan a back-up activity that can still go ahead, if all else fails, especially when there are little ones involved. So if the weather takes a turn for the worse or your car breaks down, you will still have something planned to keep the whole family entertained. With these helpful hints the whole family can enjoy a stress-free day out, making sure to not waste a single second of the precious Summer Holidays.